I'm not a butterfly-loving person but I certainly like the pattern on its wings. It's so captivating! I always love seeing butterflies because they have different colors and patterns on their wings. Too bad they can only live for a short time. That's pretty neat! Isn't wonderful how God made them so attractive and help pollination? Love em! Beautifully captured! I love the color combination. You have really learned to master the art of photography, Mhie. Well done! 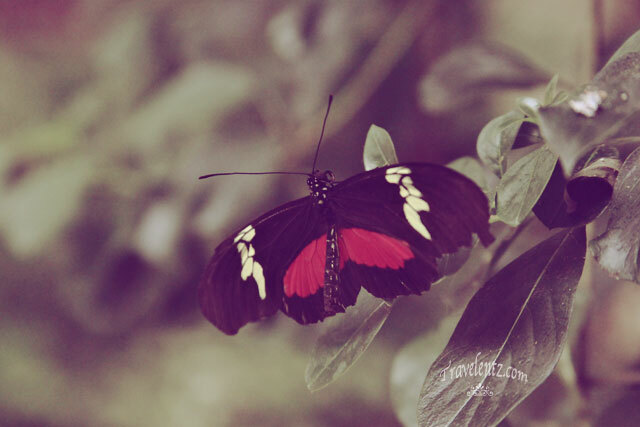 i think i may have seen this butterfly in the butterfly garden here too Mhie, love the color since black and red are not very common colors for butterfly. you captured the butterfly very well. I love to watch butterflies with their bright colors dominating its surroundings.. The best of nature captured beautifully. Just simply amazing sis. Ay, love ko ang mga butterflies! Ano ang tawag sa butterfly na yan? kakaiba yun pattern sa wings, ngayon lang ako nakakita ng ganyang color combo..